Physiclo is a unique line of performance clothing featuring built-in resistance band technology developed at the NYU School of Medicine. By integrating resistance into the clothing you wear, you add an extra “layer” of challenge to any workout or activity. You can wear them to your workouts to make them more efficient. or you can just wear them while walking around doing errands for extra calorie burn. Hey, if you’re on your feet all day anyway, might as well turn that into your workout, right? Four women set out to make a better, more comfortable bra that fits your lifestyle when you’re at the hospital or on the go after your shift. Not only are their products versatile, but they have a great support system as well. Learn more about how they are helping women diagnosed with breast cancer. Started by the sister of a nurse, Tucktails are a simple yet revolutionary idea. These camisoles are shorter in the front but longer in the back so your shirt never rides up again. Plus, they’re quick-dry and flat-weave so they stay in place all shift long. Use coupon code “confident” for free shipping! You can thank us for these later. 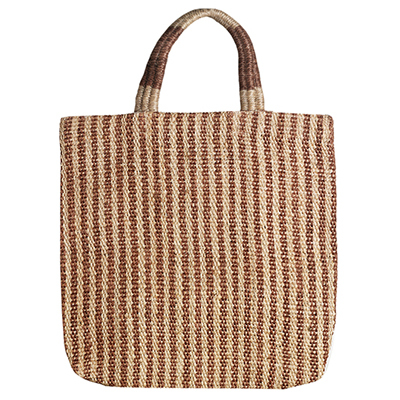 ZINK partners with an NGO in Southeast Asia & local artisans to create handwoven bags and wallets. Help create a sustainable economy and nourish self-reliance with ZINK.